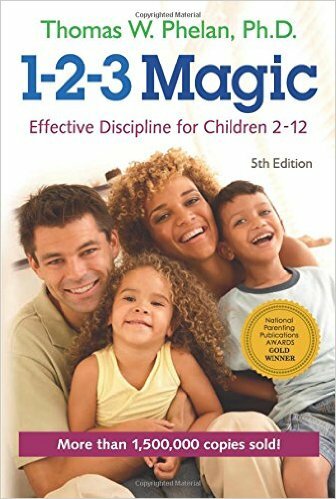 The book 1-2-3 Magic: Effective Discipline for Children 2-12 by Thomas W. Phelan is a book written to give parents a better insight into why their kids are behaving in a certain way. As a parent one must be warm and friendly and at the same time demanding and firm. If you do have these qualities it will be easier to make your child’s childhood fun while at the same time equip them with the skills they need to lead a good life. There are 3 main jobs that a parent has to carry out. Strengthening your relationship with your children. The use of counting 1-2-3 and giving time out/ time ins for tantrums is advocated in this book and there are many case studies that were use that are easy for parents to relate to. It is not easy bringing up a kid. Each child has a different personality and what methods which may have worked with one child, may not work with the other. Too much talking and emotions can be detrimental when you deal with your child. You have to be consistent, decisive and calm when you discipline your child for it to be effective. Certain methods that were advocated may work with extremely young kids but as the kid grows older, I personally have experience limited success with the counting method. I’ve tried time out and it doesn’t work with any of my kids. Time in works better for them and getting them to do chores which they would not normally do willingly works best for them. I guess that such a method needs to be adapted as a child grows up and maybe a more comprehensive approach needs to be used to deal with the change. The child has to know that the particular behavior is not acceptable and accept the consequences that are associated with exhibiting the bad behavior. Modeling the appropriate behavior and staying calm when the kids act up have helped my children understand how they should behave in given situations. If you are a parent of young kids I do recommend that you pick up this book for a read as it would help you understand more about how to cope with your children during their outbursts.